The Round Rock Public Library has received the 2018 Texas Achievement of Library Excellence Award from the Texas Municipal Library Director’s Association. Only 51 libraries out of 548 public libraries in Texas, less than 10 percent, achieved this recognition. Libraries awarded this honor must meet a high level of excellence in programming and service, contributing to the continued education and personal enrichment of the community. To successfully achieve the award, libraries “must exhibit excellence in providing services to underserved and special populations, in enhancing services, in marketing their programs and services in innovative ways, in promoting cultural, topical, and educational programming, in providing literacy support, in providing summer reading clubs, in pursuing collaborative efforts, in supporting workforce development, in providing for digital inclusion, and in comprehensively training staff.” Some of the programs and services that the library provides include Family Place programming and story times to promote early literacy; computer classes and Resume Review to assist job-seekers; improvements to the library catalog and material placement to make it easier for customers to discover and access library materials; and the Summer Reading Challenge to promote reading for customers of all ages. 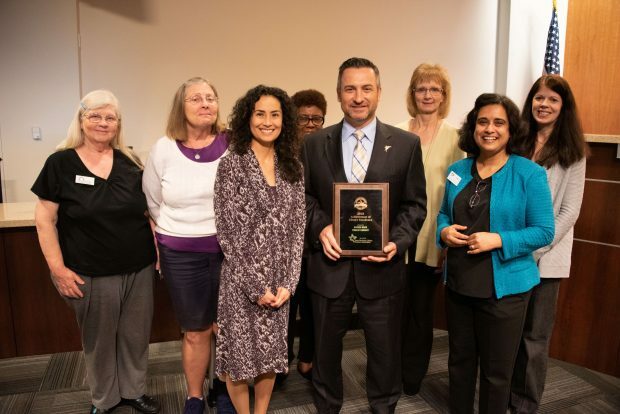 The post Library receives award for program and service excellence appeared first on City of Round Rock.